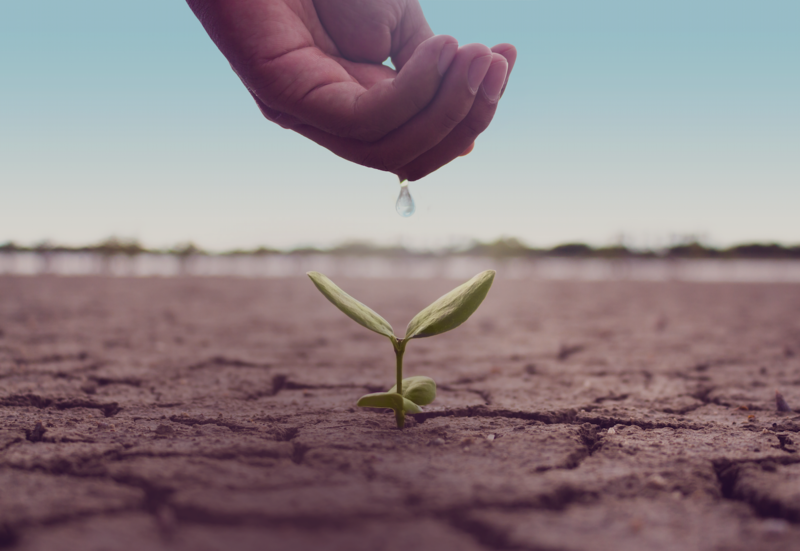 This April, witness firsthand how California’s evolving water crisis is a growing threat to our National Security in its capacity of providing healthy food to our Nation and world. Los Angeles, CA – March 28, 2018 – Freestyle Digital Media, the digital film distribution division of Byron Allen’s Entertainment Studios, has acquired global rights for the digital debut of the environmentally-themed documentary BEYOND THE BRINK. BEYOND THE BRINK debuts on VOD and will be available to rent and own on digital HD across global cable, internet, and satellite platforms through Freestyle Digital Media on April 17, 2018 – just in time for Earth Day. Created, directed, and produced by renowned documentarian, filmmaker and journalist, Jim Thebaut, BEYOND THE BRINK allows viewers to witness firsthand how California’s evolving water crisis is a growing threat to America’s national security in its capacity of providing healthy food to our nation and world. Throughout the 90-minute journey, BEYOND THE BRINK dives deep into the intricacies of the water and food nexus, while it highlights the evolving implications on a National Security threat through the lens of California’s San Joaquin Valley. California is the leading provider of dairy, produce, and beef in the United States, and BEYOND THE BRINK delves into the business of the state’s agriculture. Chairman and CEO Byron Allen founded Entertainment Studios in 1993. Headquartered in Los Angeles, it has offices in New York, Chicago, Denver, and Raleigh. Entertainment Studios owns seven 24-hour HD cable television networks serving nearly 80 million subscribers: PETS.TV, COMEDY.TV, RECIPE.TV, CARS.TV, ES.TV, MYDESTINATION.TV, and JUSTICE CENTRAL.TV. The company also produces, distributes, and sells advertising for more than 40 television programs, making it one of the largest independent producers/distributors of first-run syndicated television programming for broadcast television stations. With a library of over 5,000 hours of owned content across multiple genres, Entertainment Studios provides video content to broadcast television stations, cable television networks, mobile devices, multimedia platforms, and the World Wide Web. Our mission is to provide excellent programming to our viewers, online users, and Fortune 500 advertising partners. In 2015, Entertainment Studios purchased Freestyle Releasing, now called Entertainment Studios Motion Pictures, a full-service, theatrical motion picture distribution company that specializes in representing independent companies, major studios, and mini-major studios for the purpose of exhibiting their films as first- class theatrical releases. ESMP released 2017’s highest-grossing independent movie, the shark thriller 47 METERS DOWN, which has grossed over $44.3 million to date. The digital distribution unit of Entertainment Studios Motion Pictures, Freestyle Digital Media, supplies quality commercial film and TV content directly to all US VOD/SVOD rental DVD/Kiosks and theaters using the latest cloud-based technologies to automate digital workflow. Freestyle Digital Media provides our content audience a positive digital viewing experience on every device everywhere. Jim Thebaut is an accomplished and experienced educator, environmental planner, journalist, world traveler, executive producer of documentaries and films, and ambassador of diplomacy and public policy. For over three decades, he has educated, motivated and entertained diversified international audiences through his socially significant and acclaimed films, producing documentaries and segments for CBS, ABC News, HBO, A&E, and many other major networks. In 1998, Jim co-founded The Chronicles Group, a Non-Profit 501(c)(3) corporation with a focus on educating the public through media about profound issues that affect both human and ecological systems. Some of Jim’s previous works include The Cold War and Beyond (2002) and HBO’s The Iceman Tapes: Conversations with a Killer (1992) – the basis for the 2012 theatrical film, The Iceman (which Jim executive produced), starring Michael Shannon, Winona Ryder, Chris Evans, and James Franco. Beyond the Brink is the third film in a series that Jim created detailing our Nation’s water crisis, following Running Dry (2005), a documentary that was crucial in getting the Senator Paul Simon Water for the World Act passed, and The American Southwest, Are We Running Dry? (2008).